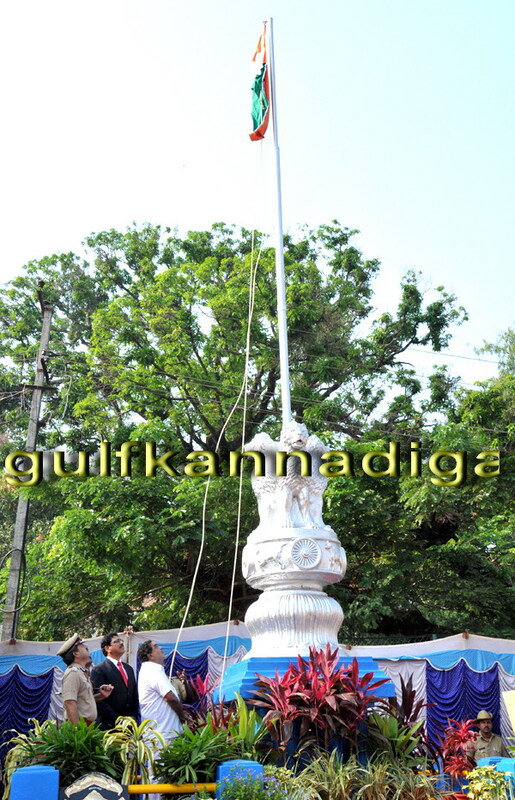 Mangalore, November 1: In the occasion of Kannada Rajyotsava we should remember and try to develop our language, art, culture and tradition. 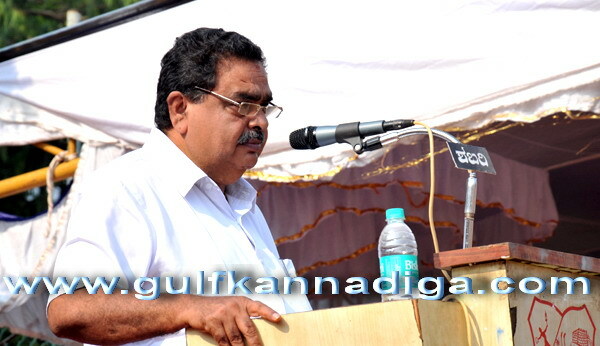 All the Kannadiga should take oath for the protection of our language and our state said B.Ramnath Rai, District in charge Minister, Dakshina Kannada. 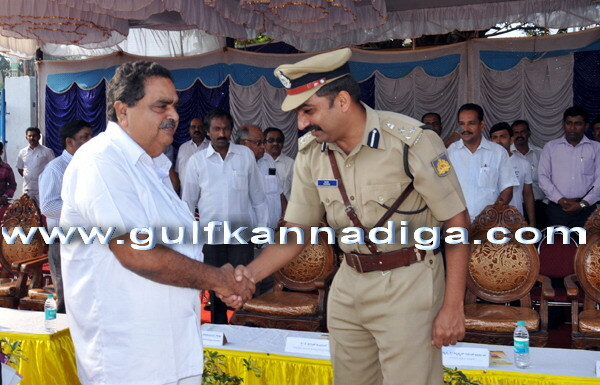 He addressed the people of the district on the occasion of the Karnataka Rajyotsava celebrations by district administrative at Nehru Maidan in Mangalore on Friday Nov.1st. 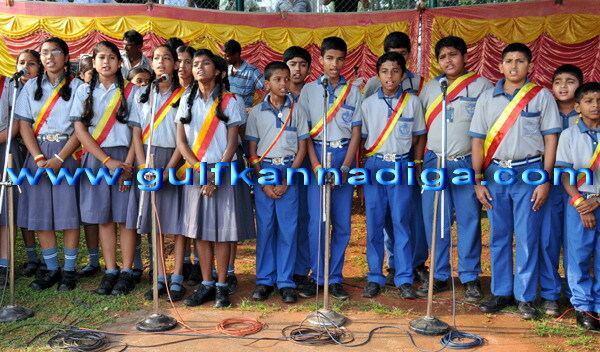 The Kannada Rajyotsava programme began with Naada geethe. 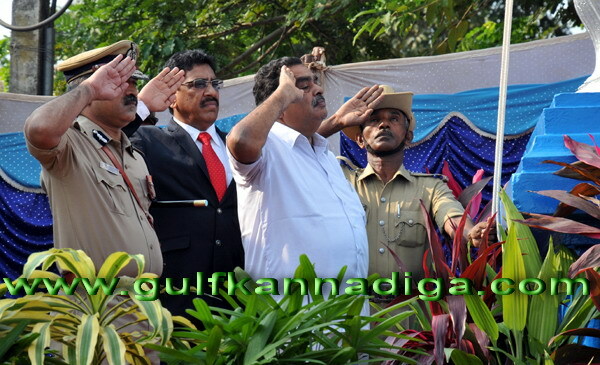 District in-charge minister Ramanath Rai hoisted the national flag and later inspected the parade. 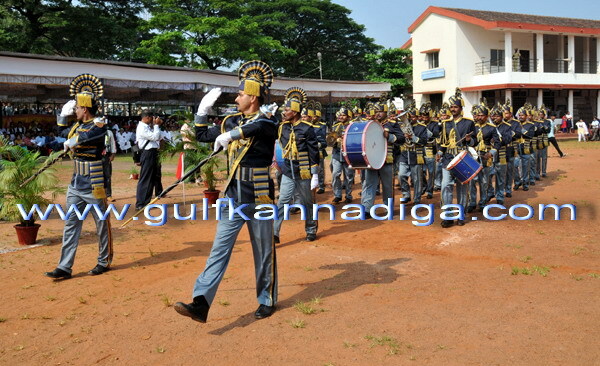 A colourful parade was organized on the occasion. 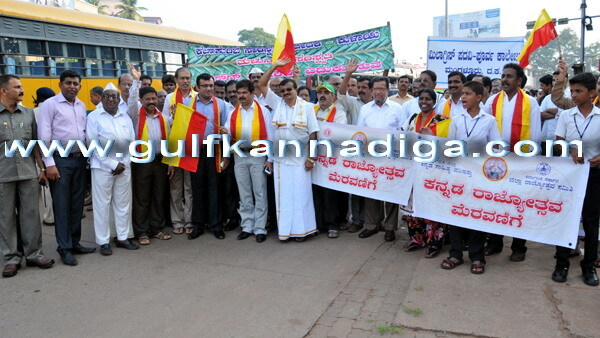 Rai further said that there are many other languages spoken in the state like Tulu, Konkani, Kodava and Lambani; even Tamil, Malayalam, Marathi and Telugu are prevalent in the state. The state is contributing to the development of all the languages. 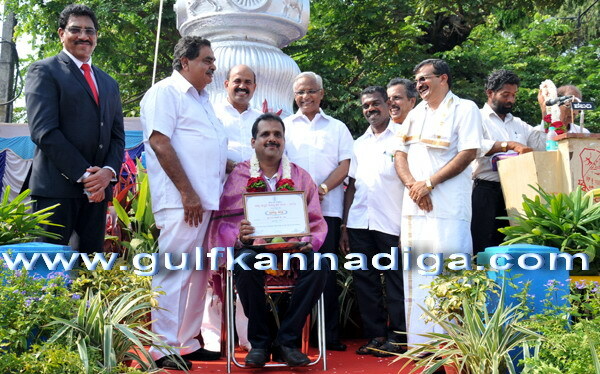 Now in the state we gave more importance to Kannada in all field of administrative. 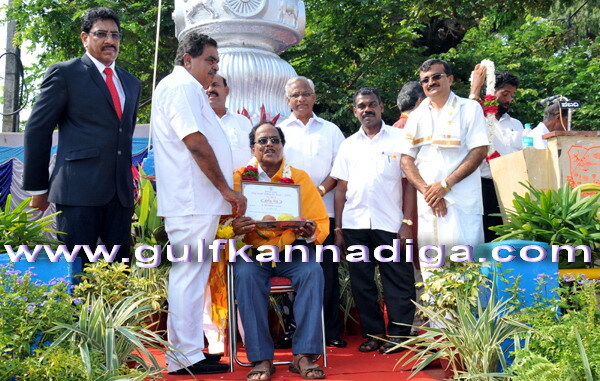 And also the government decided to give good quality primary education in Kannada medium only he added. 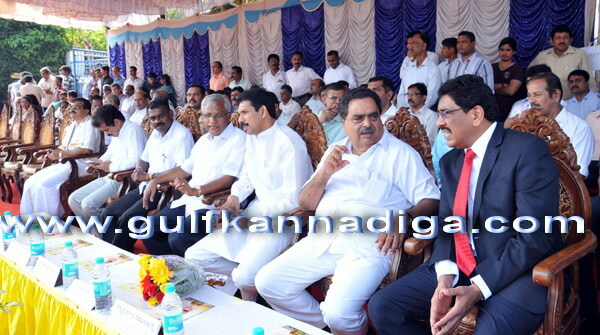 The minister also spoke about the development works of the govt. He said that the govt. 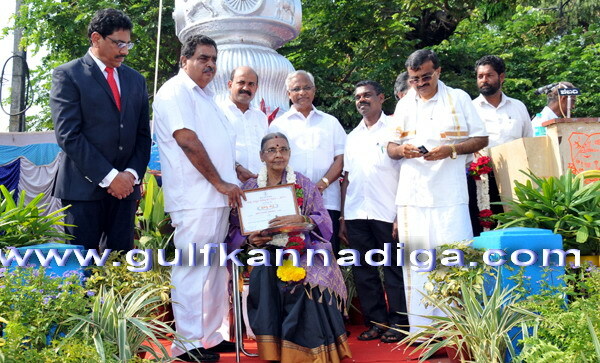 introduced the midday meals scheme in the state and now Khseera Bhagya also introduced. BPL families are now receiving rice for 1 rupee for a kg. Nearly 2 lac people of BPL card and anthyodaya card holders are beneficiaries of his scheme he said. To remove the region imbalance the central govt. officially gave special status to Hyderabad Karnataka. President also approved the issue. He further said that to popularize the unicode software to use Kannada language in the field of information technology we already submitted the report to the government. To make Karnataka as a hut-free state the government as targeted to build 3 million homes. In totally to build a strong state and to give better future to the people of Karnataka our government implementing number of development works. With the govt. people also should work for the development of the state he concluded. 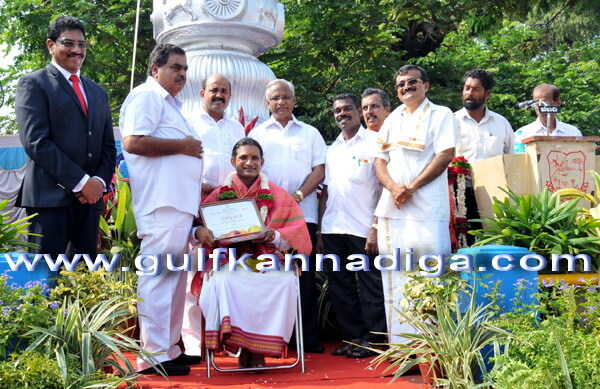 And also 8students from different field also felicitated in the occasion. 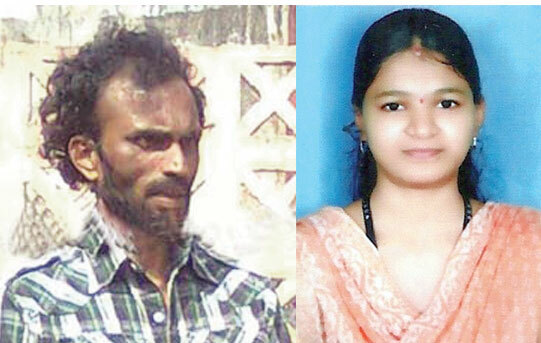 Nihal and Amih V.Nayak for Arts, Harita M.B. and Anusha K for Education, Swathi K.M. 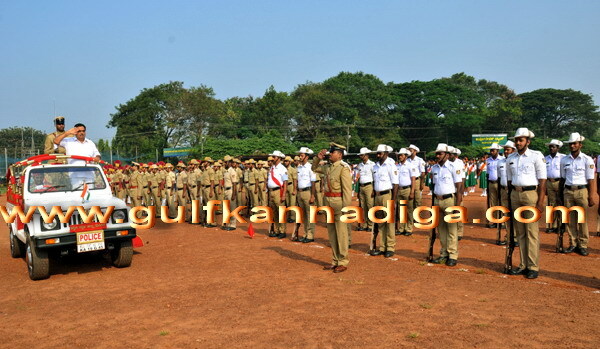 and Manish Shennoy for Sports, Nireeksha U.K. and Swathi Bhat for cultural activities. 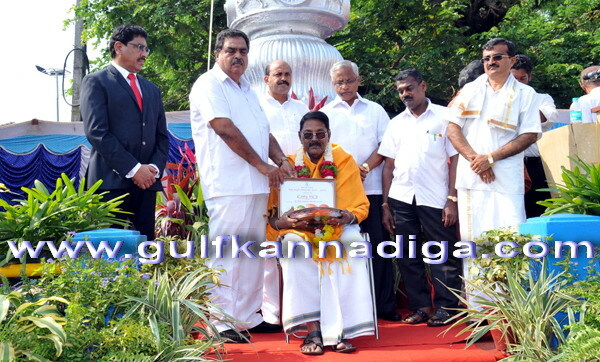 They were felicitated with award and Rs. 10000 cash. 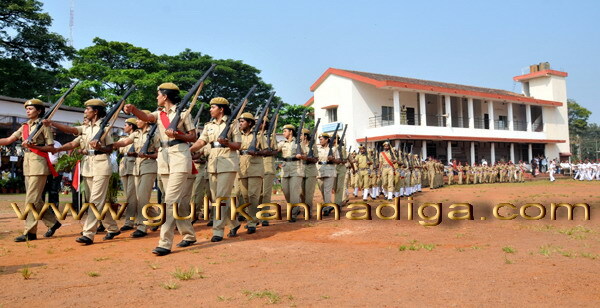 There was a cultural programme by the High School students of Mangalore North Zone. Bahrat Sevadal girls division won first place and NCC Naval Senior department won second place in March fast. 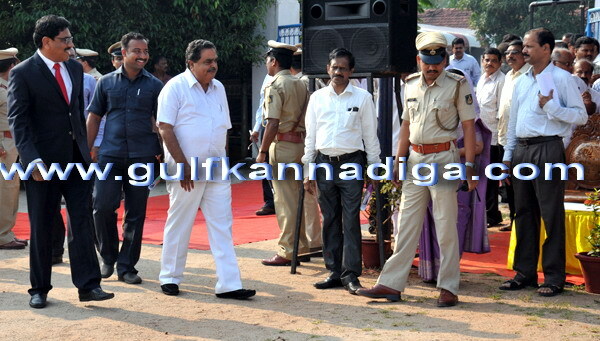 MP Naln Kumar Kateel, Zilla Panchayath president Koragappa Naik, DC N.Praksh, MLA’s J.R.Lobo, Moiddin Bava, Police commissioner Manish Karbikar, Western zone IGP Prathap Reddy, Superintendent of Police Shanthanu Sinha, ,Deputy DC Dayanand, president of Kalkura Prathistana Pradeep Kumar Kalkura, commissioner of MCC Shanadi Ajith Kumar Hegde and others were present.